La Finca Del Sur highlight the agricultural heritage of farmers in the American and global south. 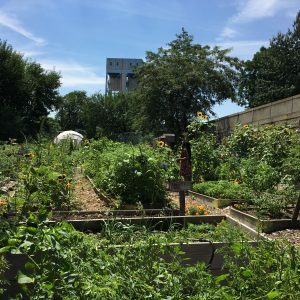 La Finca del Sur (Spanish for “the farm of the south”) is an urban farm in Mott Haven led by women of color, pulling from its surrounding community. 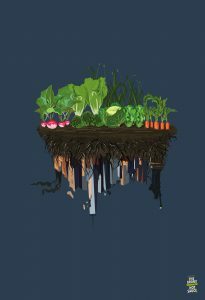 Founders Ginyard and Nancy Ortiz wanted to highlight the agricultural heritage of its farmers who have roots in the American and global south. The conversation at La Finca centers on food and culture in a community deprived of healthy food choices. 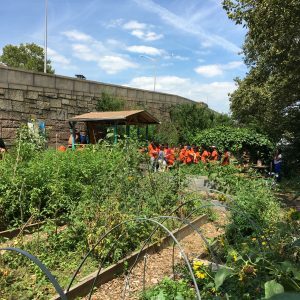 The South Bronx is an area where healthy food is not always accessible or affordable. 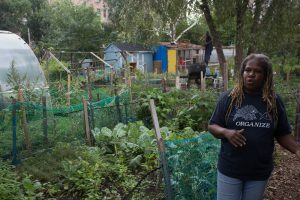 “People call it a food desert, but it’s really food apartheid,” says Babbs. La Finca Del Sur welcomes any project that gives back to the community in a creative way.The Bronx Hot Sauce grows the serrano peppers used in their fiery sauce in La Finca’s communal beds. The principle of sustainability in agriculture and caring for people goes hand in hand. Each bottle of hot sauce purchased directly supports refugee gardeners and The New Roots program of the International Rescue Committee as well as many other gardens with vibrant social missions to strengthen the fabric of urban neighborhoods. 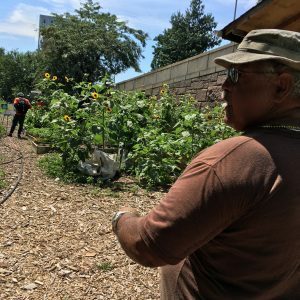 At Brook Park Youth Farm, the garden's primary caretakers are teenagers with criminal records who were sent to work in the garden through a court order as an alternative to incarceration. 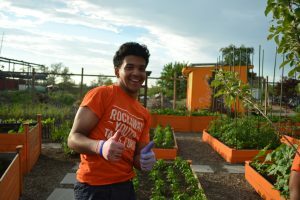 Located in the heart of a food desert, Rockaway Youth Task Force’s community garden is a thriving oasis amidst bodegas, fast food restaurants, and grocery stores shuttered since Hurricane Sandy devastated the area in 2012.